The ability to source highly-educated talent is an essential requirement for foreign and local companies doing business in the Philippines. Recruitment in the country is usually conducted through online job posting portals, internal database searches, networking events, job fairs, and newspaper advertisements. Top-notch Executive and Administrative Assistants are crucial in helping senior executives be more productive and proactively set organizational goals that drive favorable results. Though an assistant’s role usually involves performing clerical tasks and organizing the day-to-day schedule of the executive s/he is reporting to, some companies prefer them to perform a wide range of duties and be versatile enough to learn new skills if the need arises. Our Recruitment department will help you search for competent assistants able to meet your expectations. If you require specific requirements that are beyond the general clerical tasks that assistants perform but still within the bounds of accepted practice, we can provide customized aid to fulfill your business needs. The Philippines is renowned as the third largest English-speaking country in the world, and its education system incorporates the English language as a medium of instruction. Many foreign companies venture capital on employing call center agents and support representatives from the country due to the English language proficiency and high level of adaptability to other cultures that the Filipino people possess. Couple these with the quality of output and work dedication that is prevalent in the local professional setting. If you are looking for experienced and language-proficient call center and support agents from the Philippines to support your business operations, our recruiters and headhunters are glad to assist you. 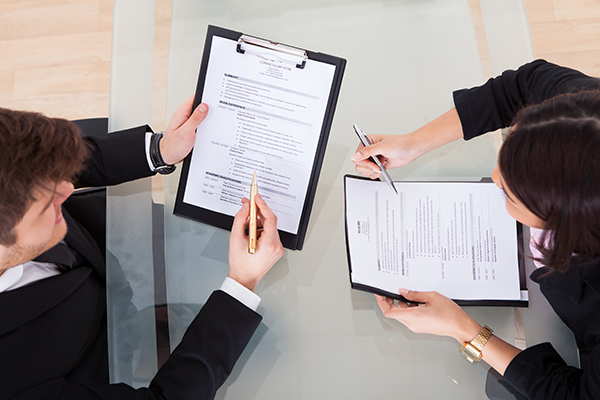 We employ a thorough interview process, along with a high level of professionalism and comprehensive assessment of a candidate’s command of the English language. We can also help you find applicants who are fluent speakers in Korean, Japanese, French, German, Dutch, Swedish, Italian, Spanish, or other languages. The Philippines has adapted to the advent of technology at a fast rate, with a growing IT industry that helps boost the country’s economy by providing outsourced tech services to foreign investors, aside from facilitating the technical needs of local businesses. Skilled professionals in IT and Multimedia Arts are among the country’s top-earners and are in constant demand in the employment market. The specialized skill set that they possess in integrating new technical programs, programming languages, application platforms, and other new technologies to a company’s established business operations are indispensable and helps in the proper utilization of technical resources. K&C has a wide network of contacts in these industries and can help you find veteran IT professionals such as IT Engineers & Consultants, Software & Web Developers, and System Administrators. Our recruiters and headhunters can also source for multimedia artists such as 3D Animators and Graphic Designers to assist you with your highly-specialized workforce requirements. The surge of globalization and open trade relations among democratic nations has paved the way for thousands of foreign companies to outsource some of their business operations to other countries that have business-friendly regulations and offer cheaper set-up and operational costs. Among the countries that highly benefited from the growth of the Information Technology- Business Process Outsourcing (IT-BPO) global market is the Philippines, which was recently hailed as the top outsourcing destination in the world for financial services and voice-based customer support. The country is currently making a massive effort in garnering an increased market share in IT, engineering, and legal BPO services. The boom of the IT-BPO industry in the Philippines in recent years has attracted North American and other foreign management talents to support its local integration and success in the country. K&C is in contact with upper and mid-level expatriate managers within this sector. Hiring a trustworthy Bookkeeper, Accountant, or CPA to organize your company’s financial transactions is essential for the proper documentation of your business expenses. These professionals will help you manage your financial capital and thoroughly document your past financial spendings so you can make better decisions for the growth and success of your business. Our recruiters at K&C will source for experienced accounting professionals with an excellent grasp of general accounting, payroll, tax compliance, and auditing requirements, as well as a solid familiarity with government processes. Successful marketing creates a successful business. Companies communicate with their target consumer base and build a solid reputation for their products and services through effective marketing strategies. Marketing fosters a positive brand name recognition, and as a company’s brand name becomes more acknowledged in its industry, its sales increase and consumer base expand. The overall umbrella of marketing covers advertising, public relations, promotions, and sales. Having the right marketing team in place fosters an environment conducive to the steady production of smart marketing strategies and concepts. Moreover, attracting a pool of talented and exceptional marketing professionals to handle your social media, tri-media marketing, product launches, and other forms of marketing is a rewarding investment. You can rely on us to help you find the right people and build a dynamic marketing team to assist you in building your brand. We have vast experience in sourcing for top-performing candidates using the finest combination of advanced research tools and best practices in the recruitment industry.